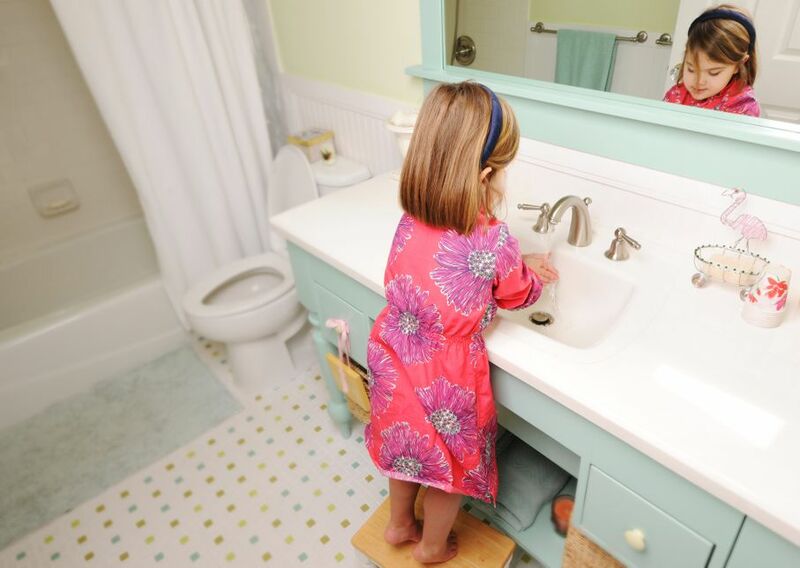 Follow these tips, and your bathroom will be so cute your kids won’t want to get out of the tub! Everyone knows that bath time can be one of the hardest, fight-invoking times of your day. Your child doesn’t want to take a bath, doesn’t want to brush their teeth, or just doesn’t want to step into the bathroom in the first place. Don’t even get me started on potty training! 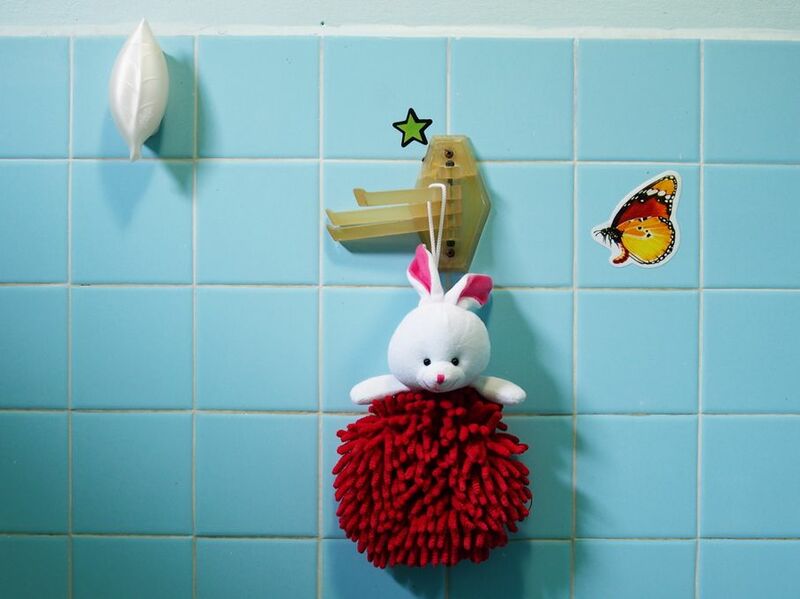 Making your bathroom “kid-friendly” will help ease the pain. The first thing you need to do is think of a theme for your bathroom. What is your child into? Paw Patrol? Princesses? The Avengers? Talk with your child if you’re stuck with a few choices. Then, think of the colors that go along with each theme. I think blue and white with Frozen and some bold colors with the Avengers (red, green, yellow, black, etcetera). The main idea is making everything match. Next up, you need a shower curtain. Many department stores have themed shower curtains with the characters on them. If not, choose a shower curtain that matches your color scheme. Some websites will print an image on a shower curtain for you. You could also paint your own shower curtain if you’re feeling artsy. An important part of every kid’s bathroom is a stool! Your little one can’t reach the sink in his/her early years. A stool is easy enough to come by, but you can also decorate a stool yourself to match your color scheme. Think about what every bathroom really needs. A toothbrush, a toothbrush holder, a soap dispenser, towels, etc. 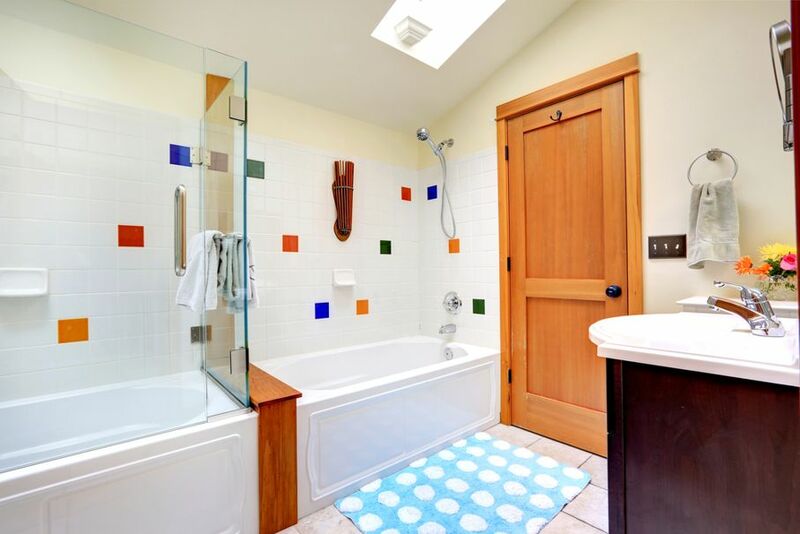 All the necessities you have in your bathroom can be integrated into your theme. Many stores or websites sell these themed products already. The last thing anyone wants to see in a bathroom are blank walls. Boring! Find some pictures that relate to your theme. You can get framed pictures, posters, or wall decals. Your child will probably find the wall decals the most enticing. Yes, I speak from experience! What could make bath time better than wall decals? Bathtub toys! Every child loves to play in the water. Who wants to pretend with an Aqua Man action figure that doesn’t actually get to go underwater?! Just please use caution when picking out bathtub toys. Steer clear of electronic or plush toys. A tip for clean-up time: use a mesh bag to store the toys and hang it on a hook above the tub. You’ll always be able to find them! Some people just think of bathroom rugs as something you always have in a bathroom, but they don’t really consider what they should look like. A bathroom rug can make or break a bathroom. It’s one of the things that makes you think, “Something doesn’t feel right in here,” but you just can’t put your finger on it. Finding a rug that matches your color scheme is the perfect knot that ties it all together! If you’re lucky, you could even find a Spongebob or Rapunzel bath rug! 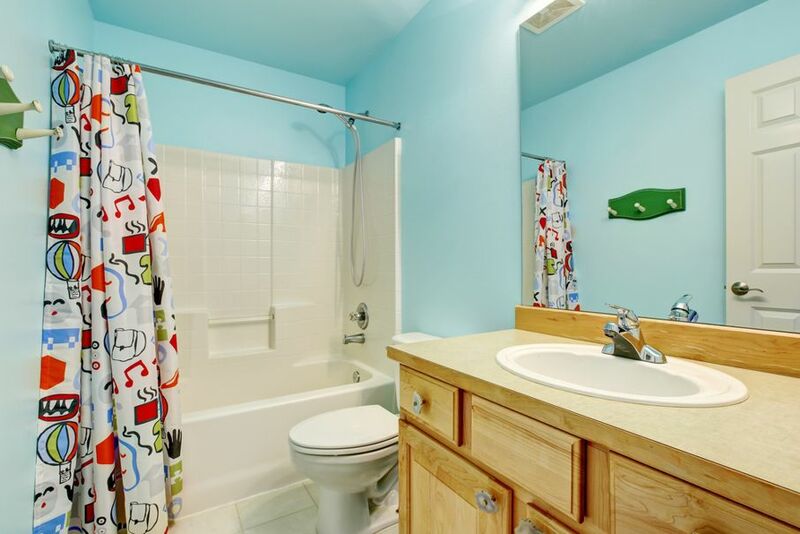 No matter how you style your bathroom, the main concern should always be: is this a place that my child will love? 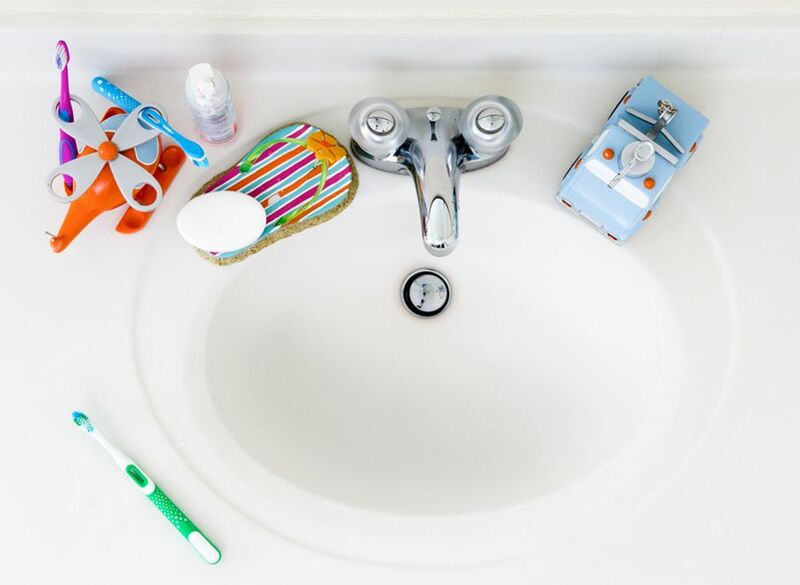 If your child doesn’t like the bathroom, he or she will not want to brush their teeth or take a bath, and that will just make the bedroom routine struggle even harder. We want smiles all around, even though we know the best situations can sometimes be challenging! To all the parents out there: Keep doing what you’re doing and keep on decorating!